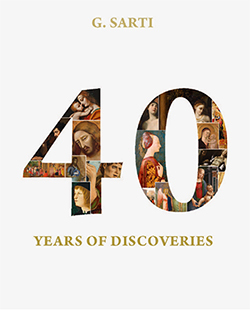 This catalogue, which celebrates the 40 years of the gallery, highlights a unique way of working and presents 40 works of art we have acquired and sold over the years, most of which are discoveries, which have found their authorship through research and study. The catalogue features works by artists such as Francesco Traini, Agnolo Gaddi, Gherardo Starnina, Giovanni di Paolo, Sassetta, Carlo Crivelli, Perugino, Sandro Botticelli, Bartolomeo Cavarozzi and many more, as well as several pietra dura masterpieces, an early and continuing passion of the gallery’s founder, Giovanni Sarti. We are very pleased to welcome you to our website where you will discover a great deal of information about our gallery and also about its activities and publications. Originally founded in London 40 years ago, the G. Sarti Gallery relocated to Paris in 1996 to the elegant surroundings of an “hôtel particulier” in the rue du Faubourg Saint-Honoré. With our wealth of experience we have earned a reputation as one of the most renowned experts in early Italian paintings, furniture and objets d’art, from the 13th to the 18th centuries. However, with our particular speciality in 13th – to 15th – century Italian pictures, we are the only dealers qualified by the Conseil National des Experts Spécialisés (C.N.E.S.) in this field. The G. Sarti Gallery maintains an active exhibition program. All our exhibitions are accompanied by a bilingual catalogue that provides extensive information about each piece presented. These bring many visitors to our gallery – collectors as well as simple art lovers – who are all warmly welcomed. On this website you can obtain regularly updated information on forthcoming events programmed by our gallery. We have been able to assist numerous private clients in creating or completing their collections. 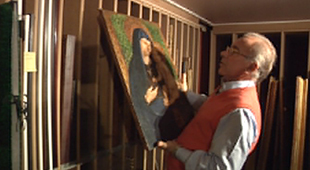 In addition, many of our works of art have found homes in European and American museums. Should you have any comments about our site, or wish to seek advice, please do not hesitate to contact us or come to the Gallery, where you will always be welcome.